‘Content’ refers to the actual pictures, videos & animations etc. that are shown on your display screens. The equipment that manages what content is shown on your screens is called a ‘Content Management System’, also known as a ‘CMS’. 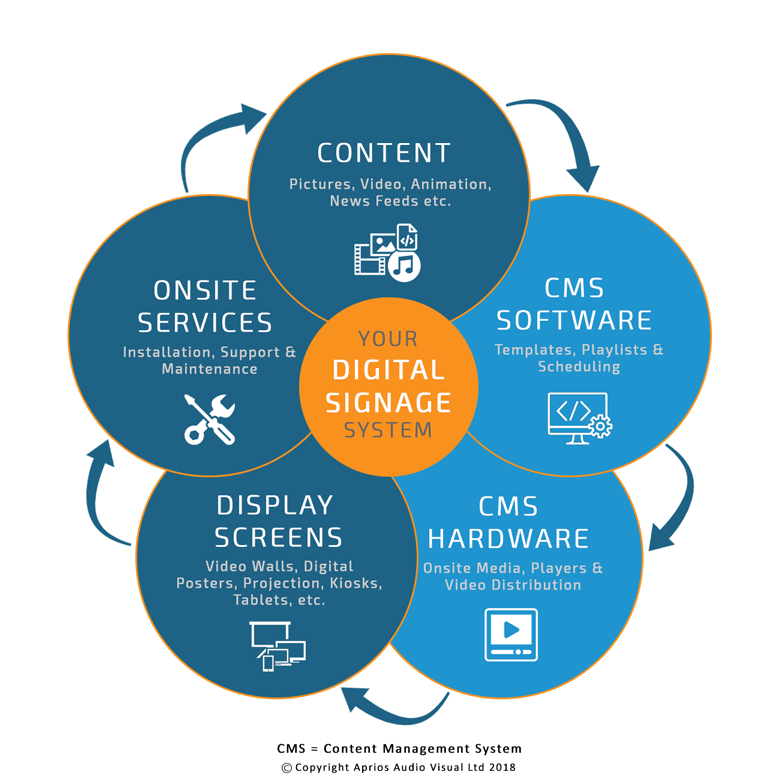 The content itself and the type of Content Management System that is used are the most important parts of any digital signage system. The CMS will typically comprise of both software and hardware. The software element will allow you to digitally arrange all of your content, usually via an online service, where you can create templates for arranging content in different screen layouts, build picture and video playlists and set your playback schedule so you know what content is going to be playing on screen and when. The hardware part of the CMS will usually be a media player that will store your content in the same location as your screens. Media players are most often networked so they can communicate with the online software part of the CMS in order to download content updates. The Media player then sends the actual audio and video signals to the display screens in your stores. Media players vary in size and performance; some are built into display screens, others will be positioned directly behind the screen, while some bigger ones will be installed in an equipment rack within the building, which in turn will require additional video distribution equipment in order to send the video signal from the equipment rack to each individual screen. The number of screens, size of screens and the requirements in terms of overall display resolution, on screen content and your preferences when it comes to how you prefer to update that content are all deciding factors when it comes to specifying the correct software and hardware for your CMS. 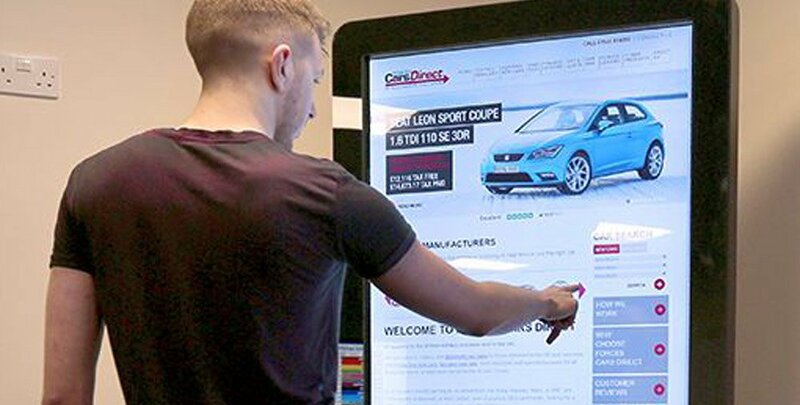 We work with the leading digital signage software & hardware providers to ensure that we can deliver a complete digital signage system that is tailored to your needs so that you can achieve your communication goals & drive sales wherever your customers are. Please contact us now to see how we can help your business. Scala is a CMS software provider that has provided award winning digital signage systems for over 30 years, operating in over 100 countries & managing over 500,000 screens. Their combination of the Scala ‘Designer’, ‘Content Manager’ & ‘Player’ software offers a customisable user experience that allows us to safely create and manage content across different devices and operate on various hardware platforms such as Samsung, Android and Windows PCs. Whether we need to manage content with audio, pictures, videos, live data, multiple playback zones or high end graphics, with Scala anything is possible! The Scala Designer software allows us to create dynamic content for our most demanding digital signage systems. The Designer software means we can work with a wide variety of audio & video formats without file conversion and can easily combine text, graphics, sound & video. With Scala designer we can build customisable templates suited to your specific brand. 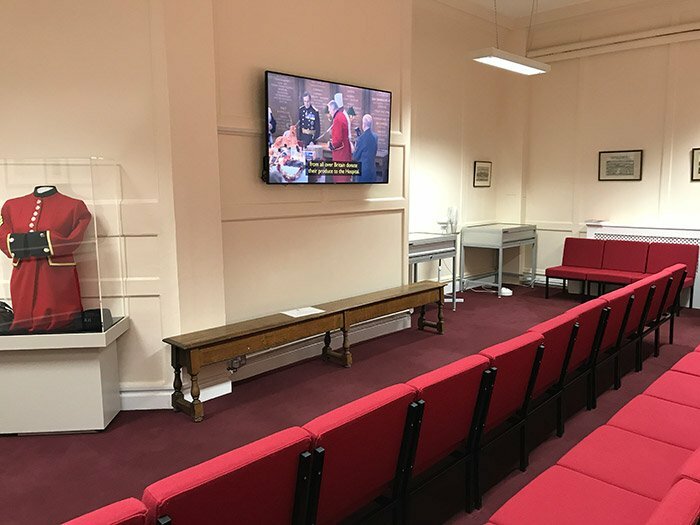 Designer also allows us to incorporate live video streams, create interactive touchscreen content and work in portrait or landscape orientations across any device. 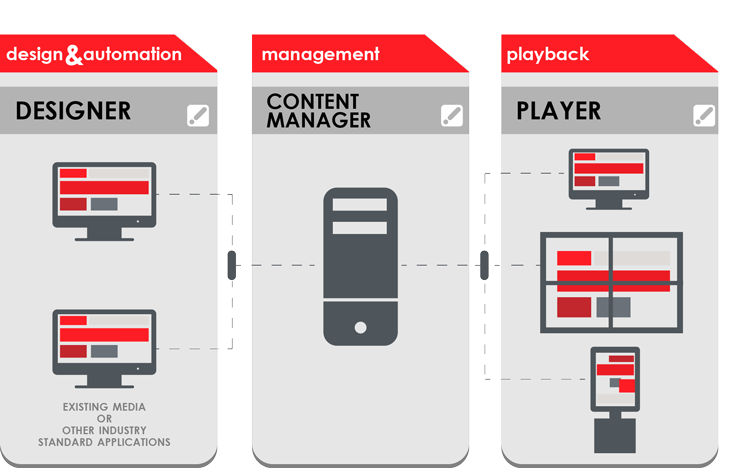 The Scala Content Manager software allows us to efficiently organise all of your content. From here we can build playlists & create playback schedules for your content across your entire display network, all via a web based interface, which means your content can be updated remotely. No blank screens, if your network connection goes down the content will keep playing. Smooth video playback without any judders or choppy transitions etc. Easy on bandwidth, for content updates the player will only download changes, not any existing content. Integrate with live news & weather feeds etc. Solid monitoring, can track player health & create logs for advertising billing or reporting. Brightsign is predominantly a CMS hardware provider known for its bright purple media players that offer SSD (Solid State Drive) reliability without the need for a PC. 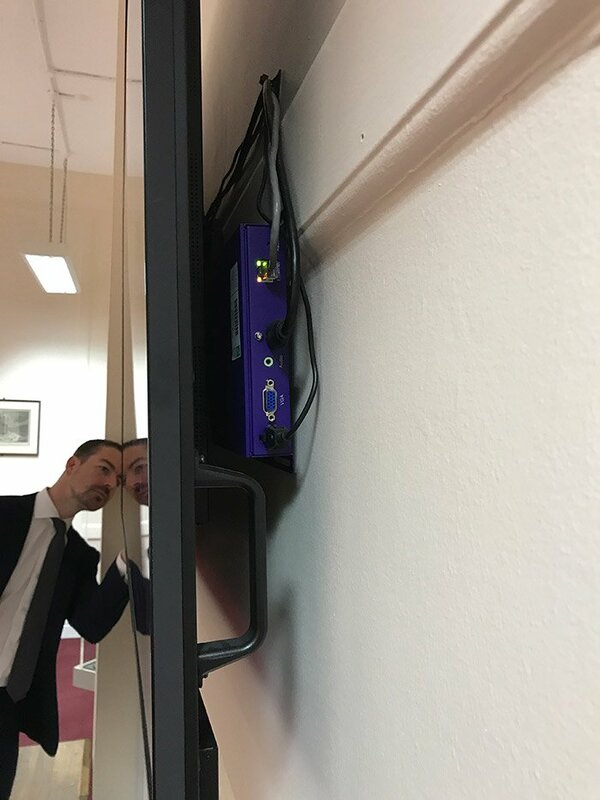 Established in 2002 Brightsign was founded by Anthony Wood who invented the world’s first Digital Video Recorder (DVR) and is the global market leader in digital signage media players. 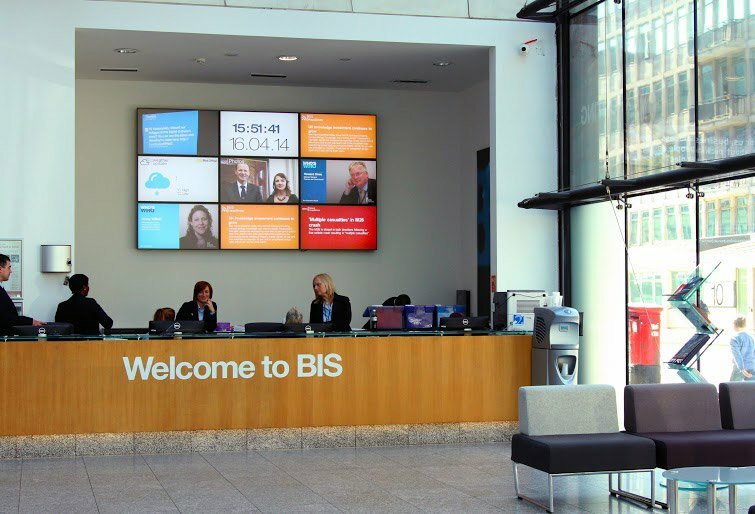 Brightsign also provide a CMS software platform, called BrightAuthor, which allows us to manage content, build templates and create playback schedules for any screen in your digital signage network. 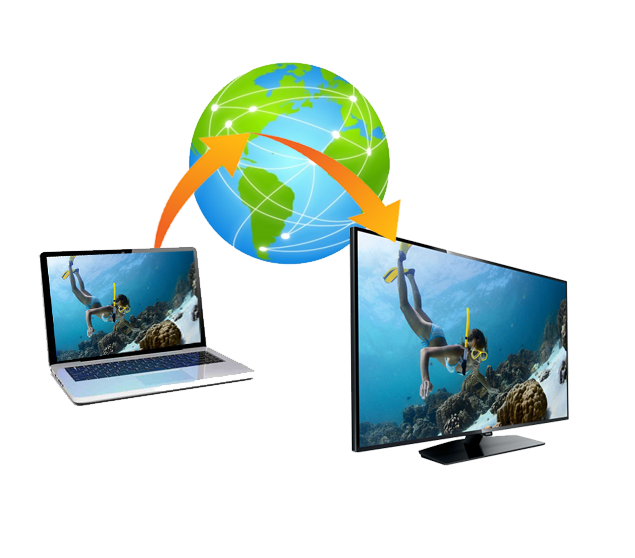 As standard the Brightsign media players can be updated locally via your internal network or with the addition of a subscription to their cloud based hosting service, called Brightsign Network, content can then be uploaded and managed remotely from any PC via the internet. Brightsign also offer the Brightsign app that allows you to update content and manage playlists from any iOS device. In addition to the BrightAuthor software, the online version also offers access to the BrightPlates which is a template creation service which make it easy to build bespoke screen layouts that integrate pictures, videos, text tickers & news or weather feeds. 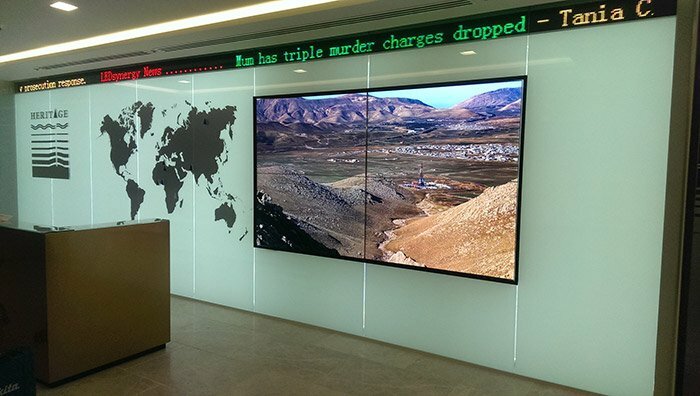 Brightsign digital signage systems are reliable, scalable & simple. 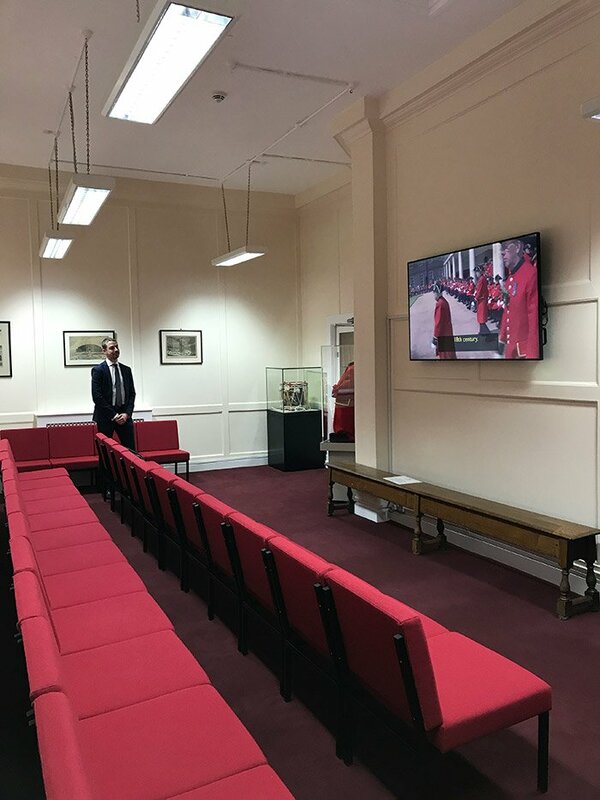 They offer a range of media players at different price points and performance to cater for various types of digital signage system; from entry level all the way through to state of the art deployments. Options for location specific content scheduling ‘Geofencing’. Media Players with an Android operating system offer a range of digital signage options, starting from basic ‘plug & play’ for simple updates via a USB stick with continuous playback of any pictures and videos through to networked versions for remote updates, integration of live TV signals and touchscreen options for interactive screens. With an Android media player you can easily update your content by loading your images and videos onto a USB stick, simply plug the USB into the media player, let the media files copy across and then remove the USB stick and the content will just run in a continuous loop. No additional hardware or cables are needed. The Android media player is also compatible with HTML5 which means you can display live websites, URL feeds or your social media profile via 3rd party apps etc. Alternatively you could also use the Android media player to run any existing CMS (Content Management System) software that you may already be using. 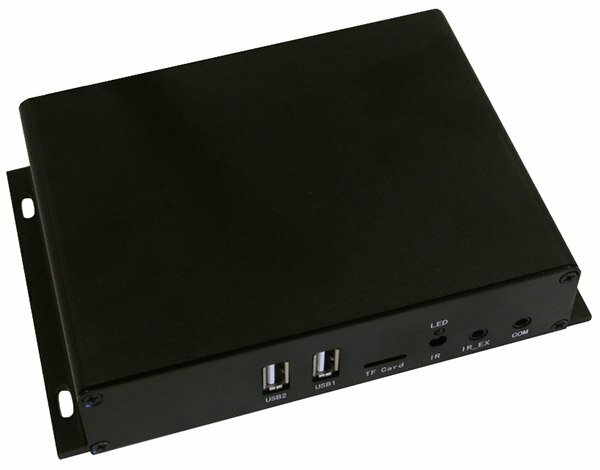 Unlike domestic equipment, these Android media players are built using commercial grade components and are designed to run 24 hours a day, 7 days a week. Improve your environmental efficiency & reduce costs with the eco-friendly power timer that allows you to assign daily or weekly on and off times to the media player so that it is only in use when it needs to be. With the networked Android media player you can remotely update your content via LAN or Wi-Fi using a cloud based content management system (CMS.) (3G versions are also available upon request). For access to the cloud server you will also need to add a 1 year, 3 year or lifetime subscription per media player. The cloud based CMS will allow you to remotely upload pictures and videos, create playlists and then schedule these playlists for any of the Android media players on your digital signage network, all from any PC with an internet connection. 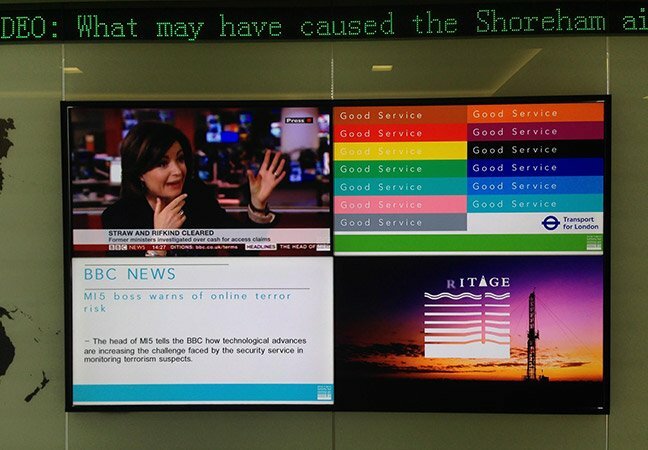 Transform your digital signage message by including a live TV signal. Easily build a custom screen layout so a Live TV signal can appear alongside your own promotional pictures, videos and ticker tapes. Simply plug your TV set top box into the Android media player via an HDMI cable & then plug the media player into your screen via another HDMI cable & then control everything via the online CMS. It’s digital signage with Live TV made simple. Create your own Touchscreen layouts! Combine the Networked Android Media Player with an existing touchscreen & then use the Touch Cloud Management System to create your very own touchscreen layouts! Firstly, create your personalised touchscreen layouts with the user friendly software, no experience required. Then build your picture and video playlists & simply schedule the content for each of your touchscreens & let your content do the talking. 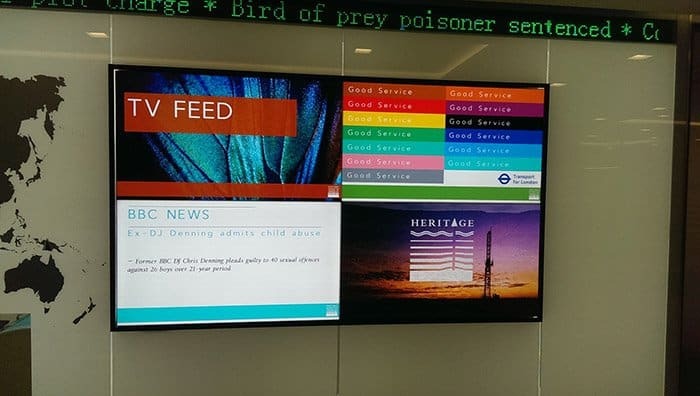 We work with the leading digital signage software & hardware providers to ensure that we can deliver a complete digital signage system that is tailored to your needs so that you can achieve your communication goals & drive sales wherever your customers are. Please contact us now to see how we can help your business.